A group of women started the Power of the Purse in Berks County Fund in 2012 to improve the lives of local women and children. The fund functions as a women’s giving circle, where donations are pooled to create a bigger impact than each member would make alone. Each year, group members review grant applications, visit nonprofits and vote to determine which programs will receive grants. Members are encouraged to attend four meetings per year. Members commit a minimum of $1,000 per year if they are 35 and over, and a minimum of $500 per year if they are under 35. Since the group began, it has awarded $180,903 in grants to local organizations. Women have a huge impact on our families, community and the next generation of both women and men. The Power of the Purse has focused on funding programs that help break the cycle of poverty by eliminating or addressing barriers for Berks County girls and women who want to enter or re-enter the workforce or seek the education they need to do so. Just scroll down to see the list of grants we’ve given to organizations that are doing important work. With Power of the Purse, you can rest easy knowing your dollars are spent in a responsible, effective way. Our funding process starts with a discussion of local issues affecting women and girls and continues with an evaluation of and site visits to programs aimed at improving their lives. Through the power of collective giving, your annual gift has the added impact of gifts from dozens of other women. Nowhere else can a relatively modest gift do so much to assist organizations and the women and girls they serve. Whether you prefer just writing a check or also becoming deeply involved, you’re free to do as much or as little as you like, and you can evaluate your involvement every year. Power of the Purse is an opportunity to learn about the needs of our community and how to effectively address them. Whether you’re a newcomer or a Berks County native, Power of the Purse helps you connect with women in our community and beyond. Share your expertise, learn about pressing issues and build lasting relationships with new friends. 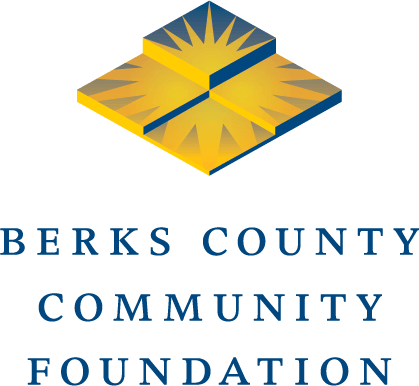 As an initiative of Berks County Community Foundation, Power of the Purse benefits from their years of experience and financial stewardship. Use this form to join or inquire about the Power of the Purse. Learning how to join the Power of the Purse.Donating to the Power of the Purse.Applying for funds from the Power of the Purse. If you would like to donate via Credit Card, head to our Donate Now page and write “Power of the Purse in Berks County Fund” in the field where it asks for the name of the fund to which you would like to donate. Head over to our Donation page to review different donation methods. The Power of the Purse has focused on funding programs that help break the cycle of poverty by eliminating or addressing barriers for Berks County girls and/or women who want to enter or re-enter the workforce or seek the education they need to do so. Co-County Wellness Services, $12,860: To fund the Berks Teens Matter Youth Ambassador program. Berks Teens Matter was started in 2014 to create and implement a plan to sustain programs and practices that reduce teen pregnancy, leading to improved educational outcomes and long term well-being of families and communities in Berks County. The ambassador program educates youth from Reading High School about teen birth rates and how they impact the community, effective methods of birth control and where they can be accessed, components of healthy relationships, and qualities of an effective youth leader. The ambassadors provide peer education to youth at Olivet Boys & Girls Club. VOiCEup Berks, $12,800: To support the Youth Volunteer Corps of Reading In-School Leadership and Service Program. The program, which is part of the school day, provides weekly opportunities for middle school girls in the Reading School District to be involved in service-learning and leadership development. Service learning combines educational efforts with community service projects. The program demonstrates to students their capacity to change their lives and their community through their choices and actions. Safe Berks, $10,000: To run the Education, Empowerment, Employment! program, which provides survivors of domestic violence and sexual assault with financial assistance and support for education, transportation, child care, job searches and more. Reading Recreation Commission, $10,000: To fund the Girls Leadership Program, which teaches young women in urban environments to be leaders and gives them the tools to be healthy, successful members of society. Girl Scouts of Eastern Pennsylvania, $10,000: To support its Funded Initiatives Program, an innovative, out-of-school-time leadership development effort that engages 1,400 girls between the ages of 5 and 17 in underserved areas of Berks County. YMCA of Reading & Berks County, $5,000: To fund the Y-Haven child care and transportation program, which enables women in YMCA transitional living, who would otherwise be homeless, to quickly research and accept jobs and educational opportunities by covering child care and transportation costs. Community Prevention Partnership of Berks County, $4,480: To support the Nurse Family Partnership program, which provides home visitation to first time, low-income mothers beginning in pregnancy and continuing until the child’s second birthday. Clare of Assisi House, $3,562: To support transitional residential services and life-skills training for non-violent women who are coming out of prison and need a safe living environment while they become self-sufficient. Girls on the Run of Berks County, $2,570: For scholarships to Reading School District elementary and middle school girls from low-income households so they can participate in this youth development program. Children’s Home of Reading, $1,388: For a program that helps females in the Berks County jail system prepare for successful lives outside of prison and make better life choices. Co-County Wellness Center, $18,000: To fund the Berks Teens Matter program, which is developing and implementing a plan to sustain programs and practices to reduce teen births in Berks County by 40 percent by 2022. Reading Recreation Commission, $13,000: To fund the Girls Leadership Program, which empowers young women in Reading. The program addresses peer pressure, bullying, self-worth and self-confidence. Girls participate in community service projects such as food and clothing drives. The program includes speakers, female mentors and field trips. YMCA of Reading and Berks County, $10,500: To support the Y-Haven child care and transportation program. Bridge of Hope Berks County, $5,000: To prevent homelessness for women and children with the help of trained mentoring groups within local congregations. Mary’s Shelter, $5,000: To fund its education and employment program, which assists young women to secure post-graduation employment, education or training that will help them become successful parents and self-sufficient adults. Berks Women in Crisis educational opportunity fund, $8,981: To help domestic violence and sexual assault survivors obtain GEDs or connect to other educational opportunities. Co-County Wellness Services, $8,981: To educate young Reading women on the risks of teen pregnancy. The goal was to increase the chances that young women would complete their education by providing resources to avoid unplanned pregnancies. YMCA of Reading and Berks County, $10,581: To support the Y-Haven child care and transportation program. The program enables women in transitional housing to quickly accept jobs and educational opportunities by covering costs for child care and transportation. Phelicia Schuller and her 8-month-old daughter after completing the Y-Haven program. Berks Counseling Center, $5,200: To pay for materials and staff training for a program called Building a Work Attitude for Women in Recovery. Opportunity House, $5,000: To help women in the organization’s programs earn a GED. YMCA of Reading and Berks County, $5,000: To support the Y-Haven child care and transportation program. The program enables women in transitional housing to quickly accept jobs and educational opportunities by covering costs for child care and transportation.